This picture beautifully portrays the quality of friendship. When your friends are with you, you would never come across a "pitiful" situation. 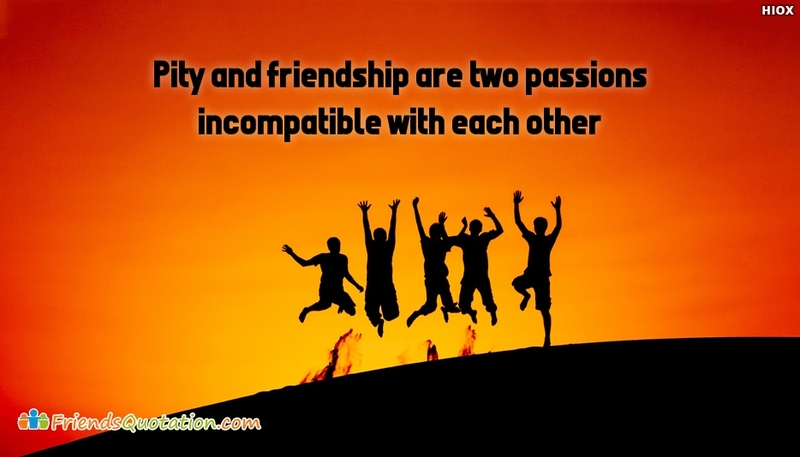 This message of friendship is beautifully expressed with this picture as "Pity and Friendship Are Two Passions Incompatible With Each Other". Share and care your friends.